The Wilson 2 seater sofa, with recliner will prove to be an ideal addition to your living room furniture. Not only will it accentuate the magnificence of your interior decoration, but will also provide unmatched comfort and relaxation. 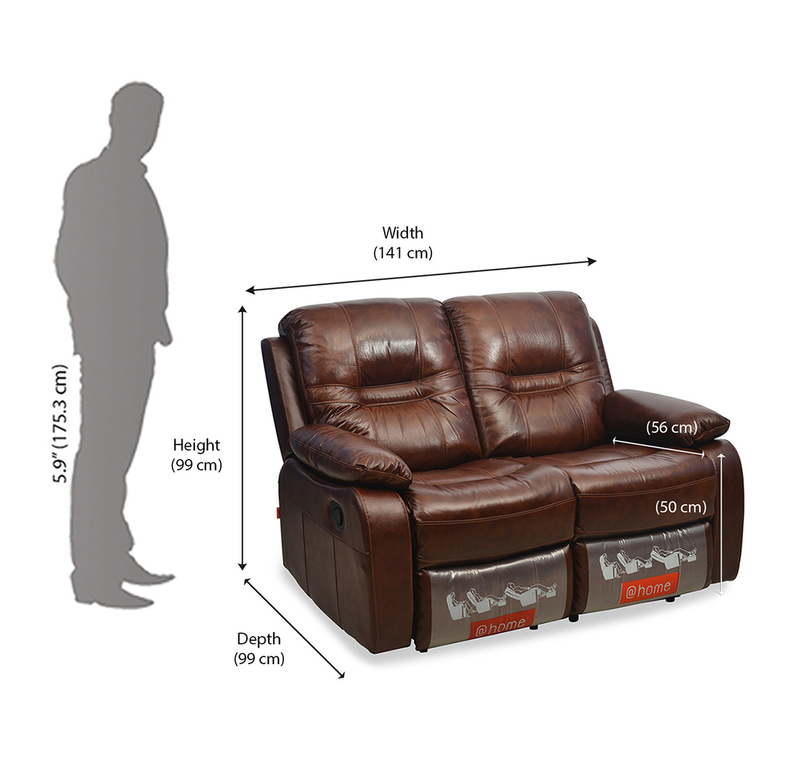 This sofa is equipped with an recliner with advance European motor technology that offers comfort along with luxury. While its hard wood frame offers sturdiness, the combination of S-spring and webbing in seats as well as back of this sofa ensures complete comfort. Moreover, its splendid caramel colour helps it merge seamlessly with almost every style of home interior.